Posted in: Radio Control, RD Logics. Tagged: RC. 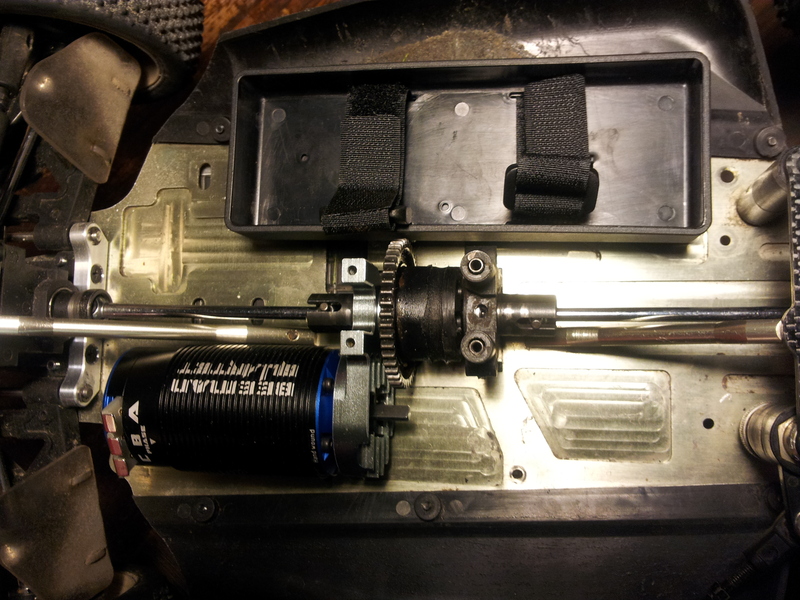 Second on my list is the motor and ESC. Being on a tight budget I looked for a reasonable system. 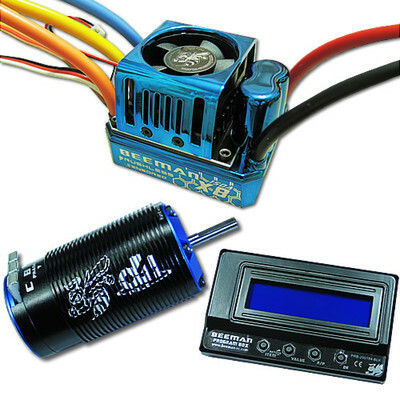 I came across Beeman rc and had a look at the 1/8 system they offered and it is very much like the Tekin at least from the outside, so I bought the 150 amp X8 ESC and the sensored 2150kv truggy sized motor, since that is what most run at my track, and at $130 it was a good price. Now onto the build. 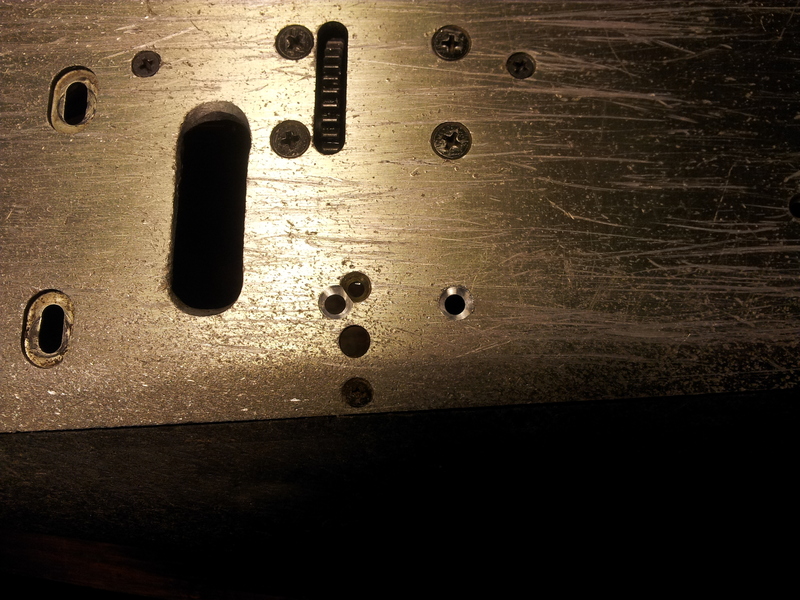 Next I drilled two holes and countersunk them for the battery tray. 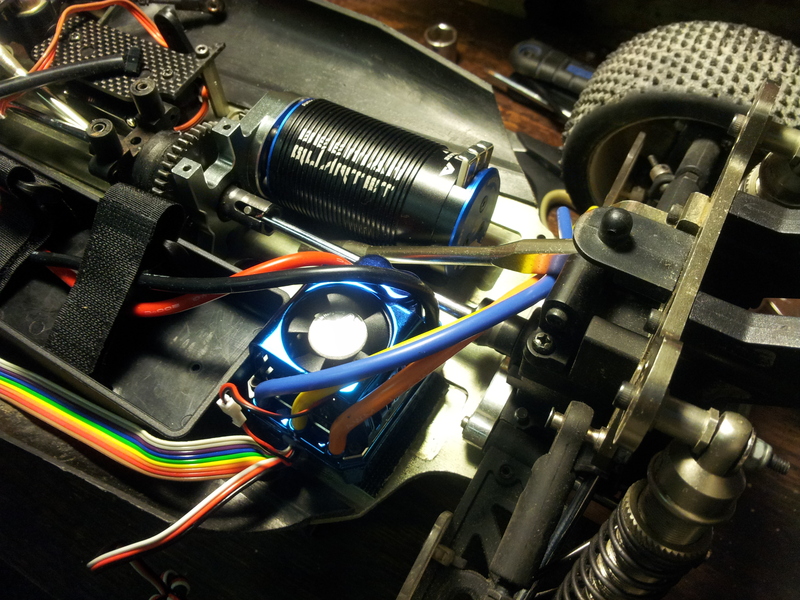 Then I mounted the motor and ESC, I used double lock velcro to fasten the ESC down, the double lock is not effected by dirt or wet. Okay on to soldering! 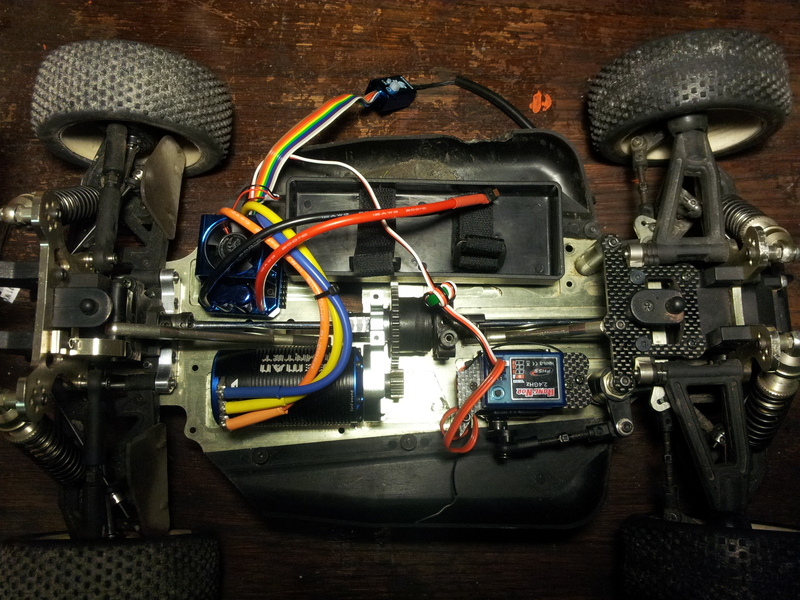 I soldered the dean’s connector and then the ESC wires to the motor following the nice graphic letters on the ESC and motor so you put them on the correct post, and then zip tied them together. 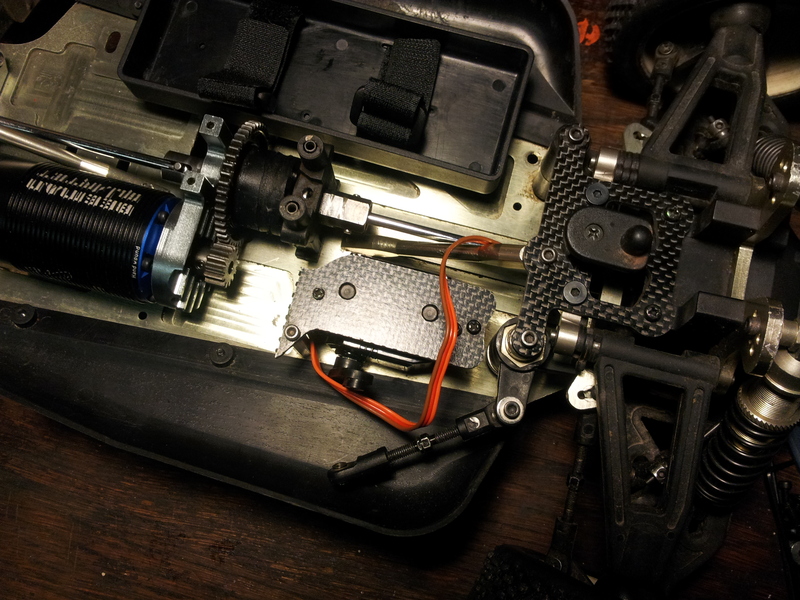 I also removed the part of the plate that held the throttle servo and remounted the steering servo with the receiver on top. Well that’s it for this round I hope you are enjoying this as much as I am.